A New York City native now has the world's tallest politician title. New York City is home to towering skyscrapers of both the architectural and human variety. 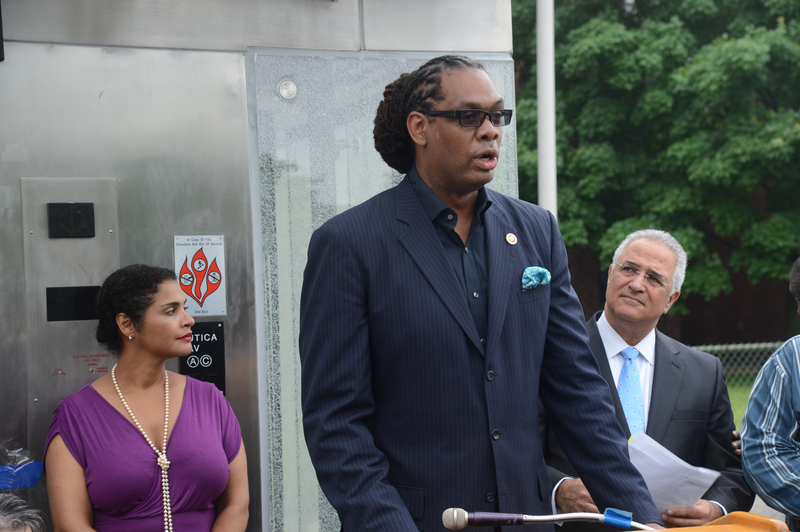 Brooklyn City Councilman Robert Cornegy Jr is officially recognized as the world's tallest politician. Cornegy represents the 36th District and stands at a staggering 6'10, and yes... he is a former basketball player. Cornegy hopes that his achievement will give young people a public figure to "literally" look up to. After extensive measurements, Guinness World Records confirmed that Cornegy surpasses the late British politician Sir Louis Gluckstein by two and a half inches, bringing the big title to The Big Apple.